If you are unfamiliar with Komal Fiesta, please allow me to take a moment to introduce you to the site. The first thing you should know is that this website is not only a site for recipes but it is also a blog or a personal website, created and maintained by me,Komal Shaikh. Unlike most of the large recipe sites that you might find on the Internet with tens of thousands of recipes, Komal Fiesta is my personal website,with only a few hundred recipes, all tested by me, my family or my friends. We invite you to try the recipes,and if you would like, leave constructive feedback in the comments. Think of this site as our family sharing the recipes in our recipe binder with you. As we cook the recipes multiple times, we often think of improvements and update the recipes. So keep in mind that what you see here is a work in progress. I started this food and family blog as a way to share favorite recipes and events with family and friends.I always looked cooking and before marriage i observed my mom closely,she is an excellent cook and may be that’s how I inherited cooking skills from her. After marriage cooking was not only necessity but i started exploring cooking world to impress my husband Nadim Shaikh who loves food. I’m proud to be his wife and my most satisfying role is to be his helper. He is supportive of all my crazy ideas and because of his encouragement, I landed up creating my own websites. He believes in me,and also immerses himself to help me in any way he can. This website would not be possible without him. My goal for this site is pass on my recipes to people,the ingredients are simple and easily accessible; not overly hoity-toity. My motto: if you can read (a well-written, tested and trusted recipe) , you can cook! Note : Most of the photography is done by me or my husband unless noted. My name is Komal and I currently live in Calgary, Canada and my hometown is Mumbai,India. Formerly I was an IT Analyst with an American Investment Group and prior to that was working with Tata Consultancy firm in India. I maintain a personal blog in addition to Komal Fiesta . I can be reached through email at komalfiesta13@gmail.com. Comments are open on the most recent recipes and posts. Rude, mean, or obnoxious comments are not welcome and will not be approved to post. 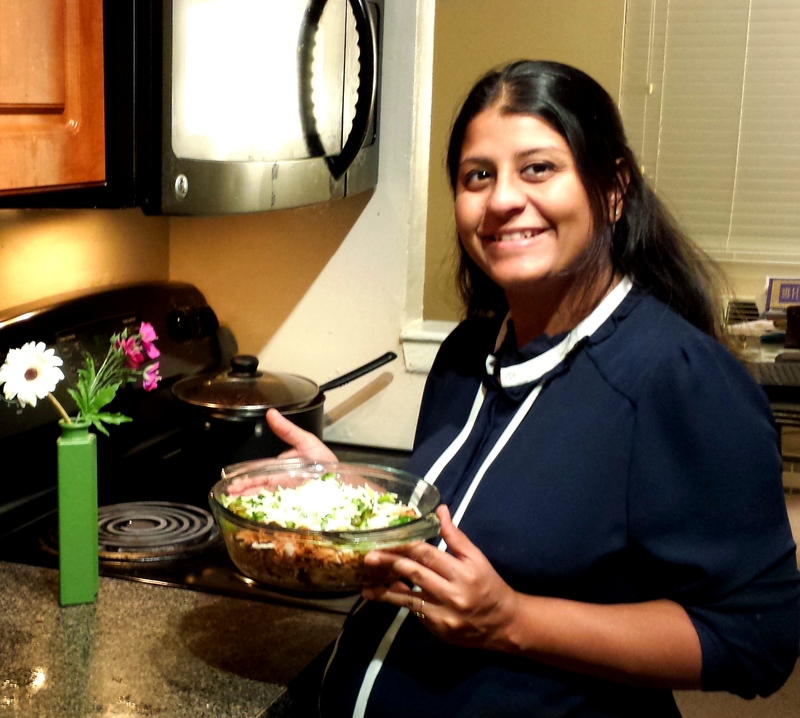 This entry was posted in Indian quick and easy recipes and tagged about author komal, about komalfiesta, about me.